Tara Strong of downstate Grand Blanc (left) helps her daughter four-year-old Anja Strong make a recycled holiday card as Catholic EarthKeeper team member Kyra Filmore holds her baby son, Llewellyn, as her daughter Eileen also makes a card. 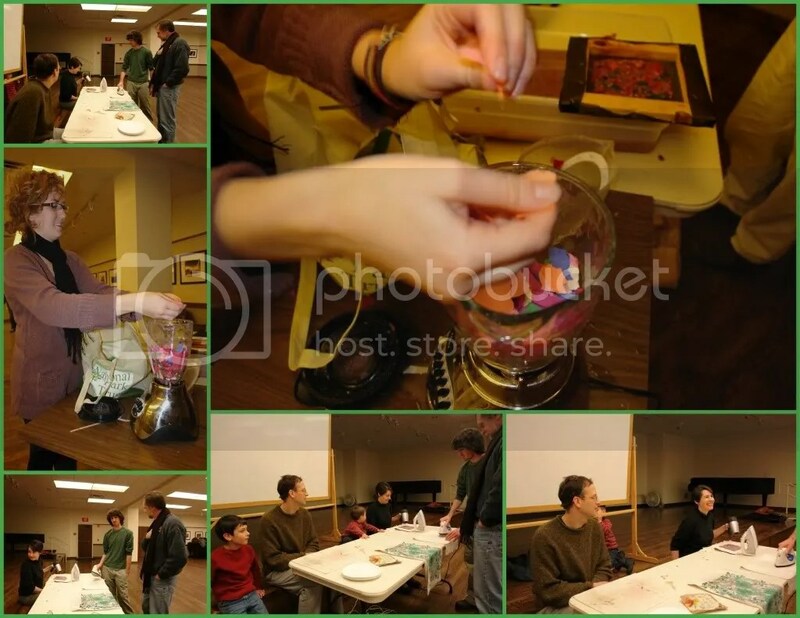 The youths made holiday cards and homemade herbal green tea at the NMU EarthKeeper Student Team Eco-Christmas Workshop held Saturday, December 12, 2009 at the Peter White Public Library in Marquette. 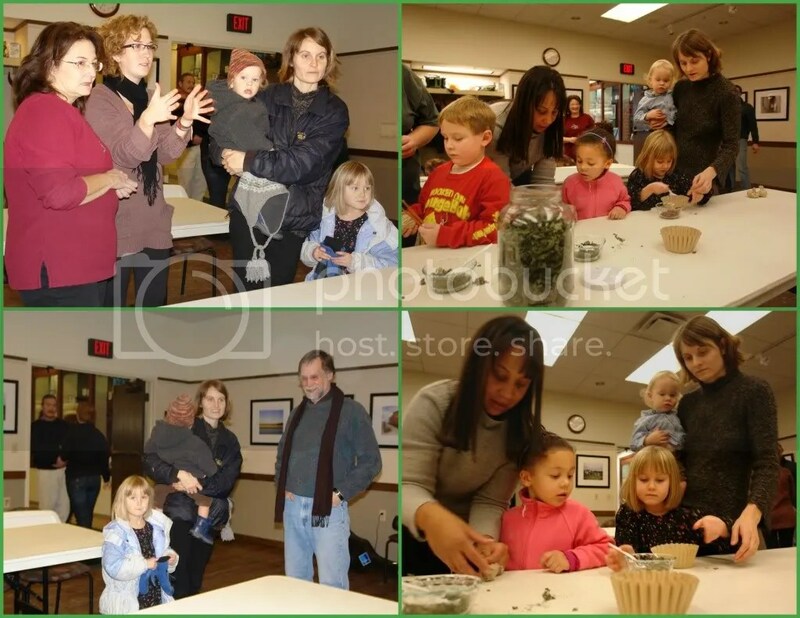 (Marquette, MI) – Dozens of youngsters from across Michigan created recycled holiday cards and homemade tea bags for gifts this weekend during the Northern Michigan University EarthKeeper’s Eco-Christmas Workshop at the Peter White Public Library in Marquette. The Northern Michigan University EarthKeeper (NMU EK) Student Team hosted the workshop from 1-4 p.m. across from the children’s library attracting several mothers from the Lower Peninsula and a teacher from Paradise in the eastern Upper Peninsula who plans to bring the idea into her classroom. 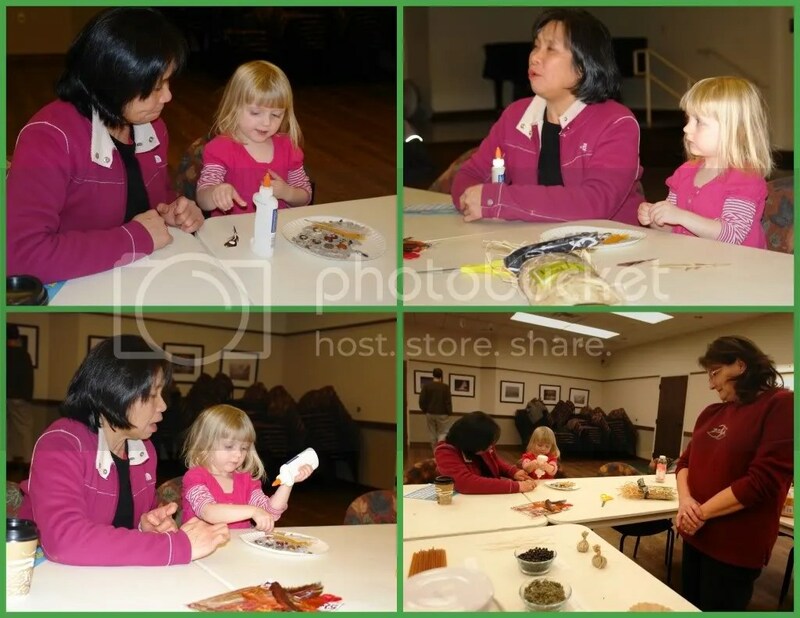 While finding ways to entertain and educate her children while her husband checked out job offers in Marquette, Tara Strong of downstate Grand Blanc brought her young daughter and baby son to the Upper Peninsula Children’s Museum and then the Peter White children’s library. 16-year-old Negaunee High School junior Phil Lindblom, left, watches as volunteers iron wet recycled construction paper for youngsters to make holiday cards at the NMU EarthKeeper Student Team Eco-Christmas Workshop held Saturday, December 12, 2009 at the Peter White Public Library in Marquette. Pictured ironing are Escanaba native Carole Beck (center) and 18-year-old NMU EK Student Team member Ellen Lindblom. Joined by her brother and a friend, 18-year-old NMU EK Student Team member Ellen Lindblom said the end of the semester meant lots of scrap paper lying around the university. “You put it in a screen flatten it out – pat the water out,” said Lindblom, while using a towel and iron to dry and flatten the multicolored wet paper as 21 year-old NMU EK Student Team Director Ben Scheelk of downstate Charlevoix used a small hair dryer to speed up the process. 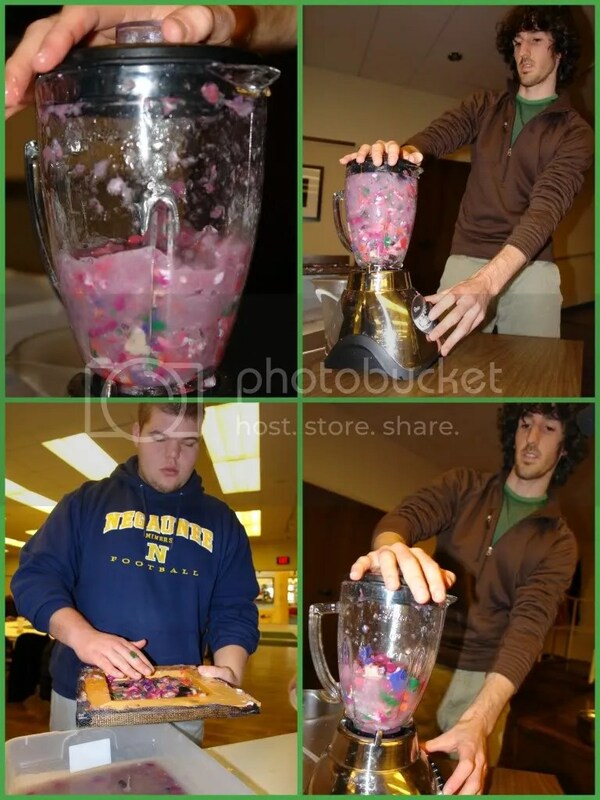 Mike Robinson, a 21-year-old NMU senior geography major, from downstate Grosse Pointe, uses a blender to mix red, blue, purple and white bits of paper for youngsters to make into Christmas cards at the NMU EarthKeeper Student Team Eco-Christmas Workshop held Saturday, December 12, 2009 at the Peter White Public Library in Marquette. “We are taking some scrap paper from various places and construction paper and making it into some pulp in a blender with some water,” said Robinson, a member of the NMU EK Student team. Escanaba native Carole Beck, who teaches in third through fifth grade at the White Fish Township Community School in Paradise, said she’ll take the NMU EarthKeeper’s idea into her classrooms and maybe make Valentines Day cards. 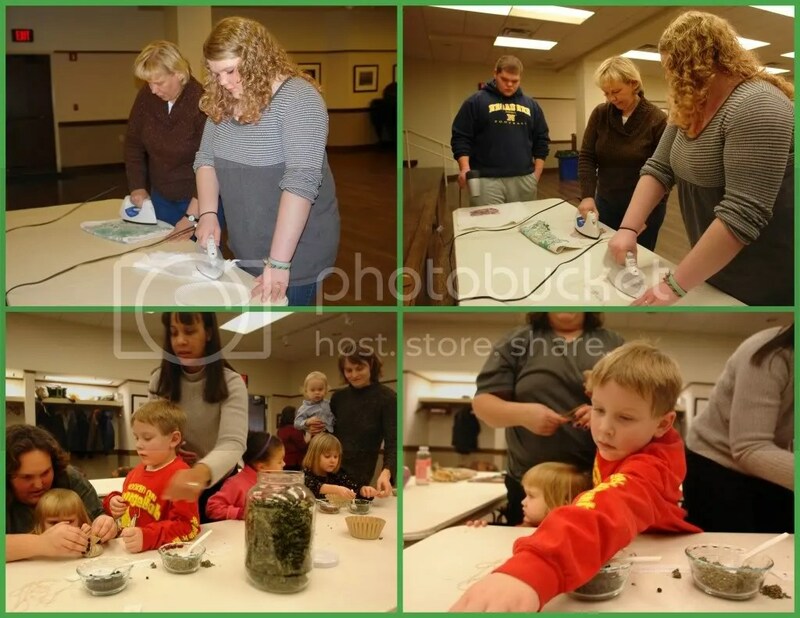 The herbs were donated by Catholic EarthKeeper Kyra Fillmore and the Marquette Food Co-op. Protecting the earth and teaching the young to respect the planet are major goals of the EarthKeepers, said 21-year-old NMU EarthKeeper Leandra Dziesinski of Alpena, MI. In September, the NMU EarthKeepers cleaned up hundreds of pounds of litter at the Upper Dead River Falls, a popular student hangout, Scheelk said. The NMU EK Student Team is the youth wing of the Upper Peninsula EarthKeepers, an interfaith environment group involving over 150 churches and temples across northern Michigan. The EarthKeeper Initiative is co-sponsored by the nonprofit Cedar Tree Institute, the nonprofit Superior Watershed Partnership, the Keweenaw Bay Indian Community and 10 faith communities: Catholic, Episcopal, Lutheran, Presbyterian, United Methodist Church, Unitarian Universalist, Baha’i, Jewish, Quakers (Religious Society of Friends) and Zen Buddhist. This entry was posted in NMU EarthKeeper Student Team Eco-Christmas, Uncategorized and tagged air, Al Gore, Allah, American Indian, animals, Bahai, bible, birds, Bishop, Bishop James Kelsey, blue planet, carbon dioxide, Catholic, Cedar Tree Institute, Chicago, Christian, Christmas, church, Clean Sweep, Cleric, co2, college, congregation, creek, culture, e-waste, Earth, Earth Healing Initiative, Earth Keeper, Earth Keeper Initiative, EarthKeeper, EarthKeepers, Eco-Christmas, EcoChristmas, ecology, ecumenical, ELCA, electronic waste, energy reduction, environment, Environmental Protection Agency, EPA, EPA Great Lakes National Programs Office, Episcopal, Evangelical Lutheran Church in America, extinct, faith community, farm, fish, forest, GLNPO, global warming, God, Great Lakes, Great Lakes Radio, green, groundwater, harmony, heritage, HHW, Holy Bible, household hazardous waste, human race, Imam Hassan Qazwini, interfaith, Jewish, Keweenaw Bay Indian Community, Koran, Kuran, Lake Huron, Lake Michigan, Lake Superior, Lake Superior Binational Forum, landfill, leaves, Lothlórien, love, Lutheran, Lutheran Campus Ministry, Marquette, marsh, Michigan, Mosque, Mother Earth, Muslim, Native American, nature, NMU, NMU EarthKeeper Student Team Eco-Christmas, NMU EK, NMU Northern Michigan University, non-profit, Northern Michigan University, Northern Michigan University EarthKeeper Student Team, oxygen, pharmaceutical, pharmaceuticals, pluralism, pollute, pollution, pray, Presbyterian, Professor Mohey Mowafy, Quakers, Quran, recycle, religion, religious, Religious Society of Friends, Rev Jon Magnuson, river, Roman Catholic, species extinction, spiritual ecology, stream, students, Sunny 102, Superior Watershed Partnership, teenagers, teens, temple, trees, tribe, tribes, Turtle Island, Turtle Island Project, U.P., UGN, Unitarian Universalist, United Methodist Church, United States, Upper Great Lakes News, Upper Peninsula, Upper Peninsula EarthKeepers, volunteer, water, watershed, WBKP, WBUP, wetlands, wildlife, WKQS, WKQS Radio, world, youth, Zen Buddhist. Bookmark the permalink.